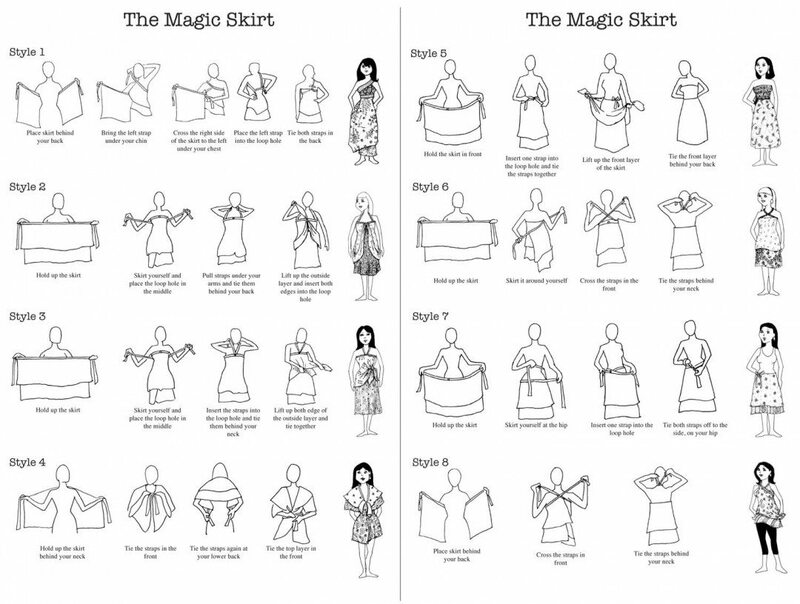 Our vintage Indian silk sari magic wrap skirt and dress can be converted into many designs. 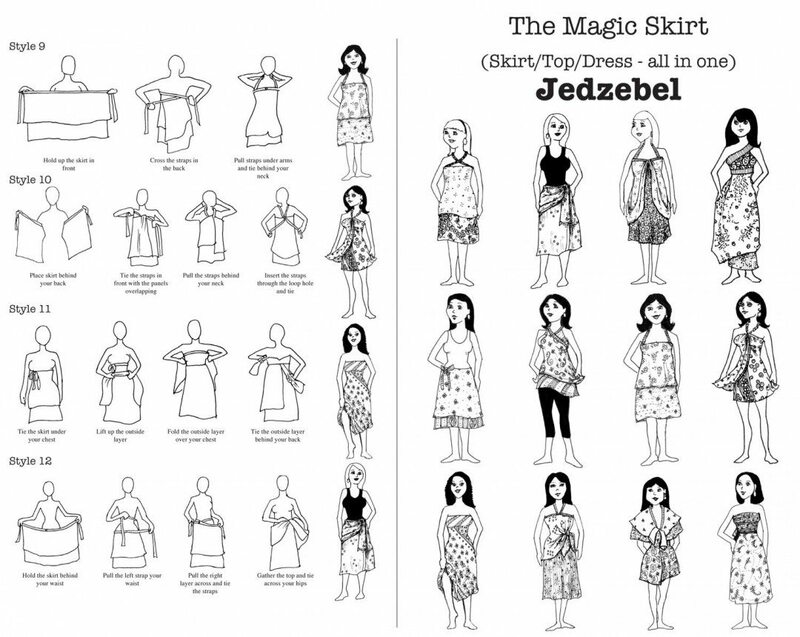 Inspired by the versatility of a sarong this handmade layer wrap skirt can be worn a variety of ways. 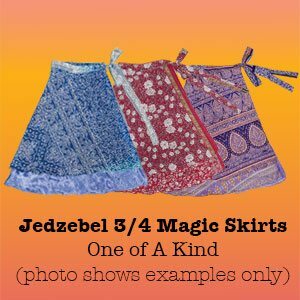 Jedzebel, the “original silk sari” company has been working with tailors in the villages of India and importing these “one of a kind” magic wrap skirts for over 24 years. Our prints are hand selected and we have the best reputation for design and quality. These handmade skirts are eco-friendly and are made from vintage, recycled silk fabric. Each piece is unique as we purchase a huge variety of fabric. 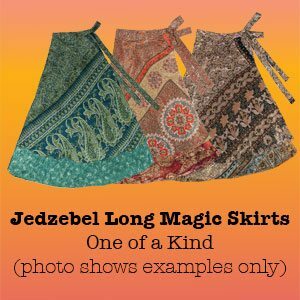 View our premium selection of Magic Skirt color / print combinations and choose your perfect skirt !